Where is the time going? I'm already 22 weeks today?! My birthday! I'm 27 years old today!! So back to baby, lol....I know for a fact that I'm having a "Baby Sprinkle" when it comes to my baby girl.. because I do in fact have everything from Josiah that I don't need anything big. BUT IT'S A GIRL! I wasn't going to get anything but everyone insists on me getting GIRLY things! 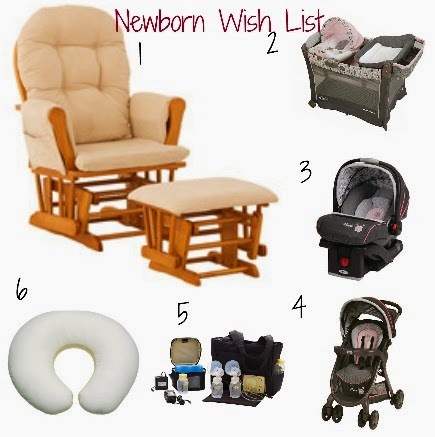 So here is my wish List!!! When I had Josiah, he slept in our bed for the most part until.. Well even to this day. It's on and off with him. One day he is fine with sleeping by himself and the next he won't leave us alone until someone is in that room with him. I really want to change it up and get a pack n play for my baby girl. Mostly so we can change the habit of having someone to sleep with. I do not and will not let her get like Josiah and not be dependent sleeping. Of course I (have to) ;) get a stroller system that are pink AND match. BUT it's so hard to find the right pack n play! The one I'm looking for has music and vibration that I can move around to the rocking seat at home or the play pen when we are traveling. AND still matches the stroller system. This is the best I can find. And the most expensive. The bobby pillow was a great thing to have with Josiah. I do still have his and my mom has actually bought many more online. If you don't have one and purchase at target you'll get a $10 gift card. I breastfed Josiah til he was at least 6 months old. I definitely want to breastfeed again, as long as little one will latch on. Of course I will also be going back to work, so I will have to pump and bottle feed her when she is at my moms. I have seen one of these online for over $200. BUT I got a steal when I got a used one for only $30! I reconfirmed that I could get new parts and tubes from the hospital or from my WIC office.